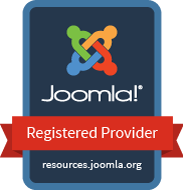 You were sold on Joomla! (TM), but if the person who sold you didn't have Joomla expertise, you probably need help. Our JoomlAid service is simply a quick step to going from a mess to a high-performing site. With experts from the server operating system level to graphics and template issues, we've got you covered. Our familiarity with some of the most popular (and complex) components in the Joomla world can help you get out of the stickiest situations.